Chicago is pushing to put a tax on water bottles to help curb usage while earning some green for Mayor Daley's green city. Considering both the toxic load and the environmental hit, we couldn't agree more. Chicago’s Mayor Daley is leading the way on the water bottle battlefield. 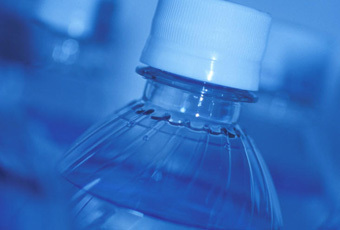 He recently proposed a citywide tax on another beloved affordable luxury – water bottles. Chicagoans apparently love their bottled water. This new tax will drum up an additional $21 million a year for the city. The tax isn’t a surprise coming from one of America’s ten greenest cities. This is just the beginning since Chicago is vying to become the top environmentally friendly city in the U.S. as well as the center for environmental design and alternative energy manufacturers. From rooftop gardens to green energy to environmental asphalt, Chicago is serious about reducing its eco-impact. Taxing the major source of landfill waste may be just what the city needs to encourage more eco-responsibility. Considering last year alone – when Americans consumed and disposed of 22 billion plastic water bottles – we all need to take a closer look at our water drinking habits, taxes or not! Each bottle that makes its way to a landfill will take 1,000 years to biodegrade, all the while leaching toxic chemicals like hormone disrupting phthalates into our ground water. The water bottle tax may not be so popular with some health-minded individuals claiming it will encourage them to drink other not-so-healthy beverages, but keep in mind that this tax is on plastic water bottles that seriously pollute our environment, not on the water. Hopefully people will eventually adjust their habits by changing their drink of choice to filtered tap water. If you are not sure about the quality of your tap water, check out the National Quality Tap Water Database courtesy of the Environmental Working Group. They compiled drinking water contamination data on more than 39,751 water utilities in 42 states through contact with state environmental and health agencies. Just enter in your zip code and you will get a detailed report about your water. With this information, you can determine which water filter would be best for your home. You can find your perfect Sigg design at reusablebags.com. Another option is the Kleen Kanteen, which is made out of stainless steel. It’s best to stay away from the polycarbonate type bottles (like Nalgene) since they recently have been found to leach bisphenol A into the water. If you are serious about giving up the bottle for good, take the pledge at Think Outside the Bottle, where consumers are encouraged to pledge to choose tap water over bottled water and to support the efforts of local elected officials to do the same at the city, state and national level.